Human life is getting a digital makeover. Digital transformation has become the emerging driver of change and in many aspects, it has propelled global economy towards a new industrial revolution, completely virtual in nature, albeit mammoth in scale. The telecommunications industry is at the forefront of this transition. The past decade has seen telecommunication companies invest heavily in digital technology, which has allowed them to tap into entirely new business models across industries. 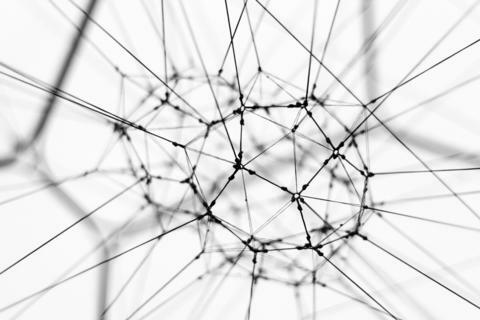 Access to a globally connected network allows availability of real-time information, customer support, marketplaces and social programs that in totality enhance the entire experience. One can trace back telecom investments to these five broad benchmarks. Companies with digital capabilities in these areas can record a staggering profit margin of 43% compared to the average 21%. The digital transformation of telecom is helping companies touch newer B2B horizons. The focus is shifting towards B2B growth markets where potential looms at maximum. According to recent statistics from Bain, growth in business services will be greater than the same in consumer markets for telecoms. The consumer market is set to grow at approximately 0.6% annually while the B2B market can grow at 2.6%. The primary cause of this surge is an increased demand for Mobile Data & Addressable IT services. Today's hospitals face relentless pressure to improve quality, especially in the operating room. This challenge requires insights into root causes of problems and unnecessary clinical variations, which are notoriously difficult to diagnose. 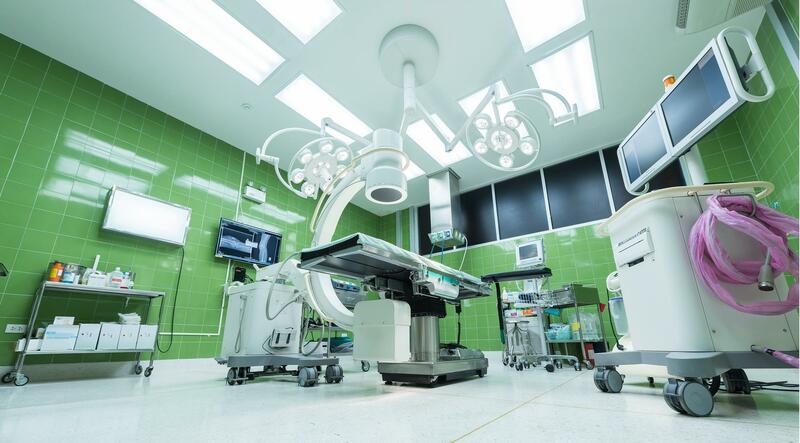 As a counter measure, hospitals are turning to analytics solutions that are embedded directly within perioperative workflows. Such technology converges IoT tools with healthcare analytics to produce actionable data -- that is, data which is near real time and relevant to the patient, and can be acted on during the episode of care. This includes during critical care transitions, such as between prep and surgery, and from surgery to recovery. Moreover, actionable data's value can be extended to identify effective training protocols and to standardize best practices. Three developing scenarios, in particular, are calling for an intensive effort to leverage actionable data in the operating room -- and they are only increasing in urgency. The need and the benefits of receiving actionable data in the operating room are clear. Less so may be how to actually access this data. In brief, acquiring actionable data depends on aggregating both structured and unstructured perioperative data, plus smart integration of key systems and devices (including the EHR for MIPS reporting). Physician leadership and championship also are essential. After all, it is physicians who play the most prominent and certainly most direct role in improving quality. Actionable data can significantly advance their efforts. Some healthcare professionals might view artificial intelligence as a job-killer, but advanced machine learning may actually create more employment opportunities in the industry than it eliminates, according to a new report by Gartner. By 2020, AI will result in 1.8 million job losses, but will also be responsible for opening up 2.3 million new positions related to analytics, management, or augmented decision-making. The healthcare industry is likely to be one of the biggest beneficiaries of the job-creation curve, says Gartner. "Unfortunately, most calamitous warnings of job losses confuse AI with automation -- that overshadows the greatest AI benefit -- AI augmentation -- a combination of human and artificial intelligence, where both complement each other." Healthcare is particularly suited to using AI as an augmentation tool. Big data analytics leaders have used the term numerous times to describe the eventual marriage of human clinical decision-making and machine-driven insights. As the pool of health data grows thanks to technologies such as wearables that collect data on everyday activities, the need to sift through data and use it to create actionable insights is rising. Backed by machine learning, clinical decision support (CDS) software aggregates and digests healthcare data to help inform or support clinician decisions on treatment options, diagnostic tests and more. "This type of technology has the potential to enable providers and patients to fully leverage digital tools to improve decision-making," Gottlieb said. "We want to encourage developers to create, adapt and expand the functionalities of their software to aid providers in diagnosing and treating old and new medical maladies." The FDA hopes to do this by releasing a new draft guidance that will clarify which types of CDS will not qualify as medical devices, and therefore not fall under FDA regulation. Essentially, the guidance outlines that CDS or similar patient decision support (PDS) software that allow the clinician to "independently review the basis for the recommendations" will not fall under FDA guidance. 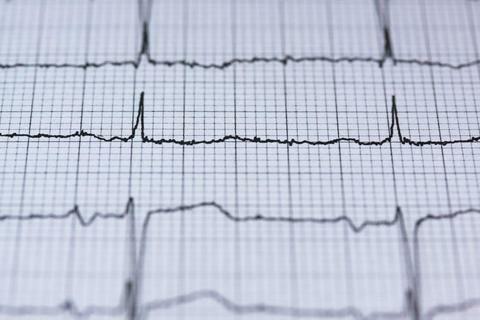 Software that analyzes or processes "images, signals from in vitro diagnostic devices or patterns acquired from a processor like an electrocardiogram" and uses these analyses to make treatment recommendations will fall under FDA oversight. The FDA's second draft guidance, "Changes to Existing Medical Software Policies Resulting from Section 3060 of the 21st Century Cures Act," addresses the types of digital tech that will no longer be classified as a medical device, such as certain apps. "We're making clear that certain digital health technologies -- such as mobile apps that are intended only for maintaining or encouraging a healthy lifestyle -- generally fall outside the scope of the FDA's regulation. Such technologies tend to pose a low risk to patients, but can provide great value to consumers and the healthcare system," Gottlieb said. 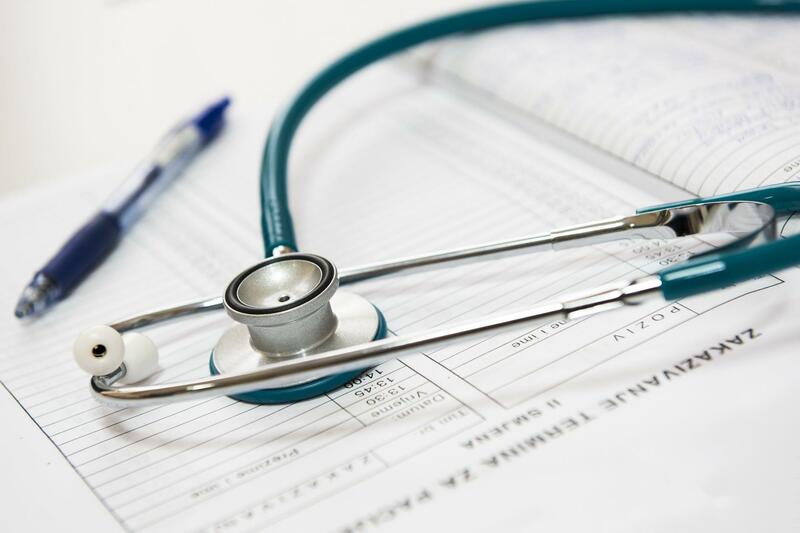 Changes are likely coming to existing guidance, including topics such as general wellness and mobile medical applications, to create a clear distinction between which digital health tech needs regulation and which does not. "We're saying that many of these products no longer qualify as medical devices that would be subject to the FDA's oversight," Gottlieb stressed. The agency has issued final guidance on its international harmonization efforts, which establish "common principles for regulators to use in evaluating the safety, effectiveness and performance" of Software as a Medical Device (SaMD). It offers global guidelines for providers to recognize and assess the risk of SaMD. "The agency's adoption of these principles provides us with an initial framework when further developing our own specific regulatory approaches and expectations for regulatory oversight, and is another important piece in our overarching policy framework for digital health," Gottlieb said. Going forward, the FDA hopes these three new policies will help to shape its digital health oversight in a way that speeds up innovation and access while maintaining safety for patients everywhere. "Our aim is to provide more clarity on and innovative changes to our risk-based approach to digital health products so that innovators know where they stand relative to the FDA's regulatory framework," Gottlieb said. Claim denials are an inescapable problem for hospitals and health systems throughout the country. 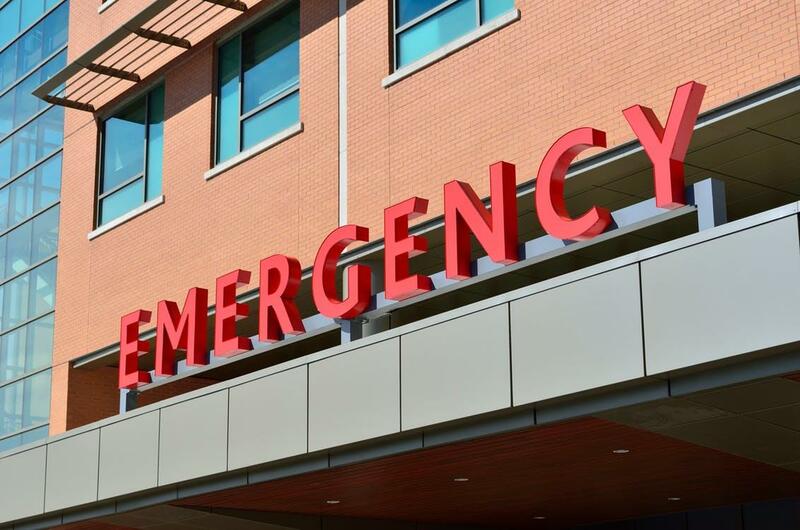 Healthcare organizations' annual losses from denial write-offs range from as little as 1 percent of net patient revenue to as high as 4 or 5 percent, according to Advisory Board. For an average 300-bed organization, 1 percent of net patient revenue can equate to $2 million to $3 million annually. "One percent sounds like a small number, but it's actually a really concerning number when you think about the scale," says Jim Lazarus, managing director of strategy and innovation with Advisory Board's revenue cycle solutions division. Mr. Lazarus says the troubling trend he hears about most from revenue cycle leaders is initial denials. There are organizations that see up to 15 to 20 percent of all claims come back with an initial denial when they first bill it, according to Advisory Board. That means these organizations have to rework or appeal one out of every five claims. Although many of these organizations are able to rework denied claims to lower write-off numbers, this rework costs staff, resources and time and is ultimately inefficient, Mr. Lazarus says. "Organizations are struggling because they have so many denials that require devoted efforts. Beyond just the financial impact of denials, the rework prevents organizations from being able to be more successful in their revenue cycle and even in their work with patients because they have to keep addressing this issue," he adds. What are the most common reasons for denials? Demographic and technical errors are far and away the leading source of both initial denials and write-offs reported in Advisory Board's 2015 Revenue Cycle Benchmarking Survey. These errors could include a missing modifier, having the wrong type of plan code or not having the patient's Social Security number. According to the survey, 61 percent of initial denials are due to demographic/technical errors, followed by eligibility (16 percent) and medical necessity (12 percent). Forty-two percent of denial write-offs are due to demographic/technical errors. The survey also found that more than half of all denials (54 percent) are now attributable to commercial payers, much higher than reported 2013 rates (43 percent). Additionally, anecdotal reports also suggest these payers carry more complex requirements than government payers, creating more work for teams that follow up on denials. How can organizations work to reduce denials? 1. Change the paradigm in denial management. Organizations try to solve the issue of claims denials by deploying additional staff and communicating with their payers. But Mr. Lazarus encourages organizations to make a fundamental shift to proactive denial management. He says hospitals and health systems must focus on preventing denials by deploying technology to automatically and proactively flag claims likely for denial and address these claims before they are submitted. 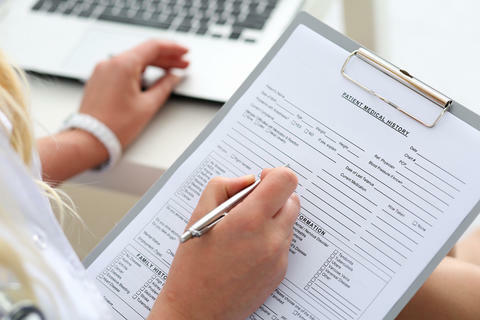 Combined with better communication with payers, this can help healthcare organizations to drastically reduce denials. "We simply can't keep up with the increasing volume of denials and adding more bodies to chase denials reactively will never be successful. Instead we need to focus on deploying technology to supplement the EHR or the patient accounting platform," says Mr. Lazarus. "Organizations have to be able to flag, stop and prevent the very errors that will cause denials. When organizations do that, it can significantly reduce the volume of denials to which they need to respond and have a very positive impact on cost-to-collect and net revenue capture." 2. Use predictive analytics. Organizations can use predictive analytics to anticipate which claims a payer is likely to deny and why. This allows hospitals and health systems to provide the information the payer needs before the payer has a chance to deny the claim. "Organizations really have to be deploying those capabilities and leveraging them to really change the paradigm because in the end these technologies are cheaper than solving the problem through staff or seeing net revenue losses mount up as they struggle with denials," Mr. Lazarus says. T. Scott Law, founder and CEO of Zotec Partners, agreed. Organizations should know the likelihood of getting denied before submitting a claim. For instance, if the insurer requires a referring provider, then the provider knows the claim will be denied if that requirement is not met. Although larger systems may be able to do some denial predictive analytics, smaller organizations may need to rely on revenue cycle management partners and technologies that give them the ability to filter and consolidate these data to reduce claims denials. After overcoming friction in the claims denials process, providers will likely have to collect money from the patient, making it vital that providers are aware of the patient's proclivity to pay, according to Mr. Law. "When these predictive analytics come into play, providers can tailor revenue cycle interactions to minimize friction in collecting payments," he says. Providers should avoid investing their resources and dollars on those patient accounts that are predicted to pay, according to Mr. Law. 3. Invest in relationships with payers. Mr. Lazarus notes that some providers are aggressively negotiating with payers to get rid of contract requirements that frequently lead to denials that are overturned on appeal. Some organizations are sophisticated enough to access and leverage data needed for lobbying payers to remove rules leading to frequently overturned denials. "Denials are meant to keep providers in line to be reimbursed what is owed and the best organizations are changing contracts to make that happen. Everyone should be examining this, but not every organization is in that position," Mr. Lazarus says. 4. Focus on quality of patient data. Mr. Law notes that denial occurs when the carrier can't identify the patient. Therefore, providers must ensure they have policy numbers and names spelled correctly so things line up in the payer's system. According to Mr. Law, there are approximately 350 data elements in a claim, and errors in any element represent a potential denial. Steward Health Care System recently announced eight of its hospitals in Massachusetts, Pennsylvania, Ohio, and Florida will implement MEDITECH Web EHR by 2018. The health system has been a MEDITECH EHR user for 19 years. MEDITECH's physician-designed web EHR has been gaining traction since its introduction and improving MEDITECHs reputation in the industry with its high level of usability. "Steward is committed to providing world class care in a more coordinated, efficient manner in the communities where our patients live," said Steward Health Care System Chief Information Officer Julie Berry. "Expanding our MEDITECH EHR throughout the organization was a key component in moving us toward a more integrated healthcare delivery." Steward is an integrated accountable care organization (ACO) and physician-led healthcare organization with 36 hospital campuses. The health system intends to use MEDITECH's EHR to improve clinician workflows and clinical efficiency. "It's exciting to be deploying solutions built for the web to aid in improving quality and population health, while continuing to drive costs down," Berry said. "Leveraging MEDITECH's innovative Web EHR to help navigate an ever-changing climate was a vital part of our decision to move forward with MEDITECH." While Steward implemented MEDITECH's latest web-based EHR platform, the health system stated it also previously found success with the health IT company's legacy platforms. While Steward is a loyal long-term client and satisfied user of MEDITECH's legacy EHR platform, MEDITECH lost just over half of the legacy customers that made decisions to competitors in 2016 according to a KLAS report released in May of this year. However, the web-based technology has helped the vendor better meet the needs of healthcare organizations. The Ector County Hospital District board will discuss an agreement tonight with Cerner to see how the health IT company can resolve issues that arose after a rocky EHR implementation at Medical Center Health System (MCHS). District 5 board member Don Hallmark told Odessa American that several Cerner representatives are expected to visit the hospital to assist with additional staff training and help the hospital catch up with billing. The hospital's Cerner EHR system -- MCH1 -- went live on April 1. By July, the hospital board had to approve a contract with Dixon Hughes Goodman to help the hospital with a reduction in its Discharged, Not Final Billed balance and provide oversight of billing resolution accounts after persistent problems. In November, board members convened to discuss additional billing problems and rising tensions between management and hospital staff. A report by independent consultant Financial Resources Group (FRG) showed confusion and complications attributed to the Cerner implementation bogged down hospital administration and staff significantly. According to Interim CFO Robert Abernathy, the December 5 discussion will address ways Cerner can provide assistance with the coding and billing balance. Cerner's work for the hospital related to billing will be done remotely. "It is an interesting dilemma; as a healthcare executive, you want interoperability between and with all organizations affiliated with you to retain patients and enhance the quality of their care," vice president, health information systems, Healthcare Information and Management Systems Society (HIMSS). "Interoperability outside of your organization is not as compelling from the execs' point of view." Thirty percent of the 115 respondents said their most pressing information technology problem is difficulty in turning data into actionable information. Wise is not surprised by this finding. Healthcare organization recipients of HIMSS Davies Awards "consistently and constantly discuss the challenge of turning raw data into meaningful information," she says. 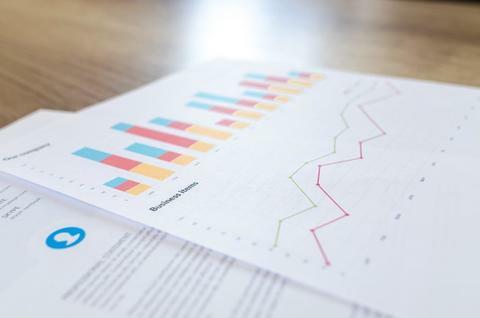 Thirty percent of survey respondents say they do not have enough staff members with adequate expertise in data analytics. "Presumably recruiting and retaining more employees with expertise in data analysis will facilitate solutions in turning that data into actionable information," says Mildred Segura, partner at Reed Smith, an international law firm. "Although, of course, there needs to be guidance from the top and a big-picture strategy. Furthermore, leadership needs to recognize that recruiting top tech talent might not be easy." With technological innovations, such as the Internet of Things, providing data at unprecedented levels, the demand for experts in data analytics is increasing. There is going to be significant competition for top employees--not just within the specific sector but throughout all economic sectors--and companies will have to work hard to recruit and retain those employees, according to Segura. "Part of that strategy should be business sector and company specific," she says. "Presumably, company leaders familiar with their business are best-placed to work with data experts to develop a strategy for collecting the most valuable data and translating that data into business strategies and improving customer experience." Wise agrees and says that the other challenge is having the organizational structure that allows for big picture thinking as well as an ability to drill down to a small department or service. Blockchain has the potential to transform healthcare in general and the pharmacy supply chain in particular. The distributed ledger technology could offer legislative, logistical and patient safety benefits for pharmaceutical supply chain management. From a regulatory perspective in the United States, blockchain technological and structural capabilities, in fact, extraordinarily map to the key requirements of the Drug Supply Chain Security Act. The DSCSA outlines a 10-year timeframe that will require elements including medication track-and-trace, product verification and notification of stakeholders about illegitimate drugs. A shared ledger of information to enable each of these steps is a foundational aspect of blockchain technology. "Logistically, blockchain aligns well with federal efforts like the National Strategy for Global Chain Security," said Kevin Clauson, Associate Professor in the College of Pharmacy and Health Sciences at Lipscomb University. "One of the most promising benefits of blockchain from a patient safety perspective is to help stem the tide of the so-called SSFFC medicines - substandard, spurious, falsely labeled, falsified and counterfeit - that continue to plague the pharmaceutical supply chain." Depending on the specific blockchain protocol employed and its accompanying features, the immutable nature of blockchain could enhance data integrity, thereby reducing the load on data stewardship functions. 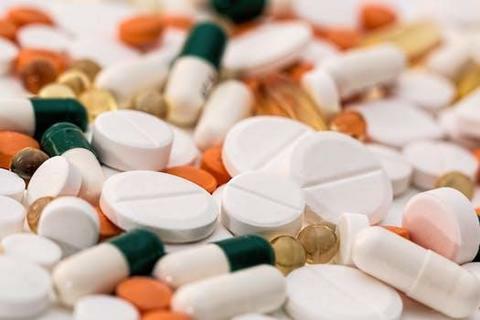 Acknowledging that the aforementioned benefits are still theoretical in nature, Lipscomb University's Clauson said that half-a-dozen companies have for the past few years been working on blockchain-enabled Drug Supply Chain Security Act compliance platforms. Those include BlockVerify, iSolve/BlockRx, Chronicled, The LinkLab, Modum, and Vechain. Blockchain holds great promise for the pharmacy supply chain, as it does for other healthcare applications. It's early days, but the great potential of blockchain may move more companies into the fold. As the United State's national healthcare expenses keep rising, "most ideas are adding cost or nibbling around the edges of the existing cost structure," Hashed Health's Ward said. "Blockchain is a once in a generation opportunity to cut up to a third out of the middle. Nothing else comes close to blockchain's potential." Despite the enthusiasm from executives, there are still significant barriers to digital innovation for many health systems, including resources, funding and operational capacity. 1. Patient-generated data and customized services: New technologies, such as wearables, have entered the scene and offered healthcare providers mountains of data they haven't had before. Once health systems understand how to securely gather and incorporate data into their operations, "these data sets can allow hospitals and health systems to provide more nimble and personalized care, track population health trends, and efficiently structure patient services," the report says, specifically noting that the data can help providers take better care of patients with chronic conditions through constant monitoring or "proactively [managing] population health needs." 2. Network utilization and management: With the move toward value-based care, health systems are looking for better ways to keep patients in their network. "Digital solutions can help to solve this problem in a variety of ways, including tracking patient utilization data to report and analyze profitability, improving demand management by confirming referral appropriateness and patient readiness, and improving service and access by simplifying scheduling," the report states. 3. Referral management and in-network retention: "Matching the right patient to the right physician at the right time through more effective referral management has become a key strategic and operational imperative for hospitals and health systems," the report states. Logic-based digital tools can offer analysis and decision support to help hospitals and organizations play matchmaker. 4. Social community support: Emerging digital solutions can play a big role in improving public health and supporting underserved populations effectively. These solutions offer "new opportunities to share data and connect to community partners, providing a virtual network to support the patient," the report states, adding that with proper use they can help to improve care coordination and outcomes, reducing costs in the long run. 5. Convenient patient access: Just 26 percent of healthcare executives reported that they had implemented solutions, such as patient portals, to improve patient access to their own health information. But as the world becomes evermore transparent and digital, patients are demanding access. If organizations don't provide it, patients turn to nontraditional forms of care, leaving health systems behind. "Digital solutions offer opportunities to make it easier for patients to conveniently access their healthcare services, including remote diagnostic tools like telemedicine or virtual exams," the report states, noting that these technologies will allow organizations to remain competitive. LinkedIn identified the top emerging jobs and some of them are particularly relevant to healthcare organizations. "We are seeing more specialized machine learning and data- specific roles top the list of emerging jobs widely available outside the technology industry," the researchers said. Specifically, the top five emerging jobs are machine learning engineer, data scientist, sales development representative, customer success manager, big data developer. While the sales and customer success roles may not be every day roles in hospitals, more and more healthcare provider and health IT companies are hiring the other three. Professionals with those forward-looking skillsets, in fact, will be hot candidates on the open job market. "Data scientist roles have grown over 650 percent since 2012, but currently 35,000 people in the US have data science skills," LinkedIn authors wrote. "While hundreds of companies are hiring for those roles, supply of candidates cannot keep up with demand." The researchers also mapped out the top skills each of those emerging jobs require. Machine learning engineers need to understand research, algorithms, software and Deep Learning, while data scientists have to understand machine learning, analytics, data mining and Python. Big data developers, meanwhile, should master Hadoop, Java, Apache Hive and understand startups. The shift to digital skills also means that some legacy technology know-how is becoming less relevant -- as general skillsets are being replaced with more specific ones.